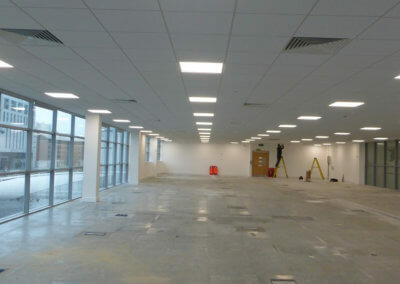 Install of lighting management units, occupancy sensors, emergency spot light fittings and LED 4K panels. 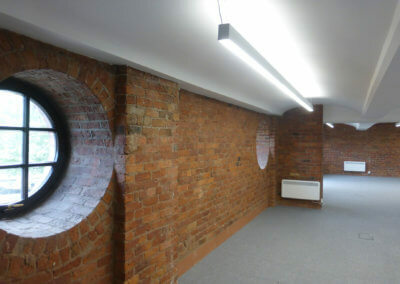 Pictures show “before” removal of old partition offices, carpets and fluorescent light fittings. 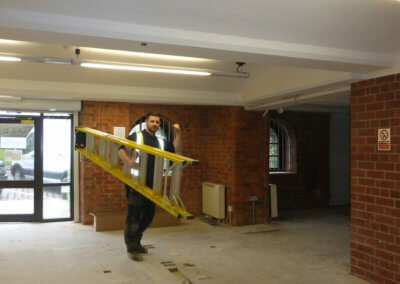 Also show the staff installing the lighting system. The site is located on Liverpool waterfront and the work was for Peel Holdings Ltd (installed 2016). 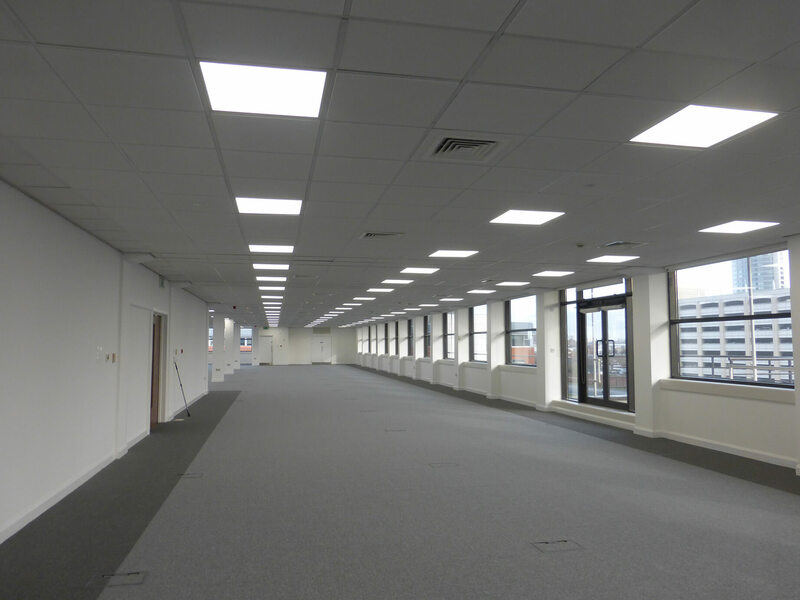 Install of LED panels on 3 x floors and working in conjunction with lighting electrak specialist company to install occupancy sensors and program the system upon completion. 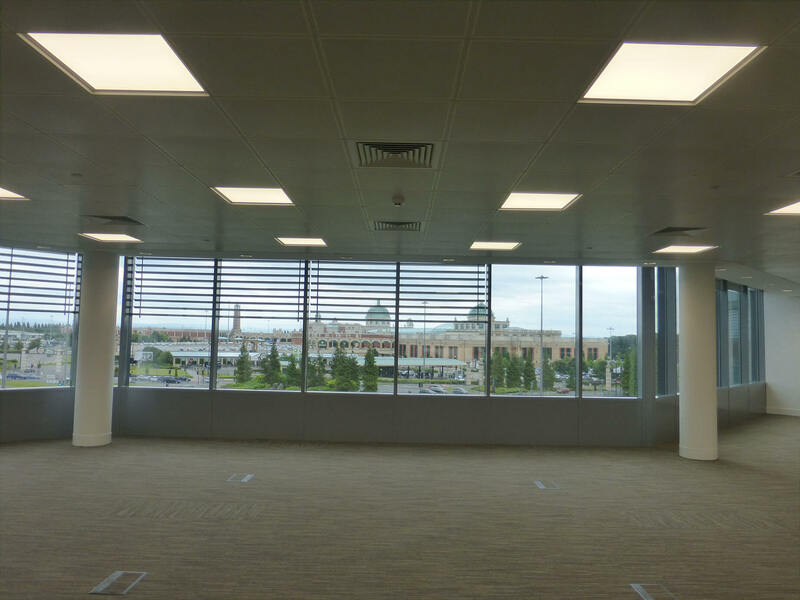 The site is located in Trafford Park and the work was for Peel Holdings Ltd (installed 2016 & 2017). 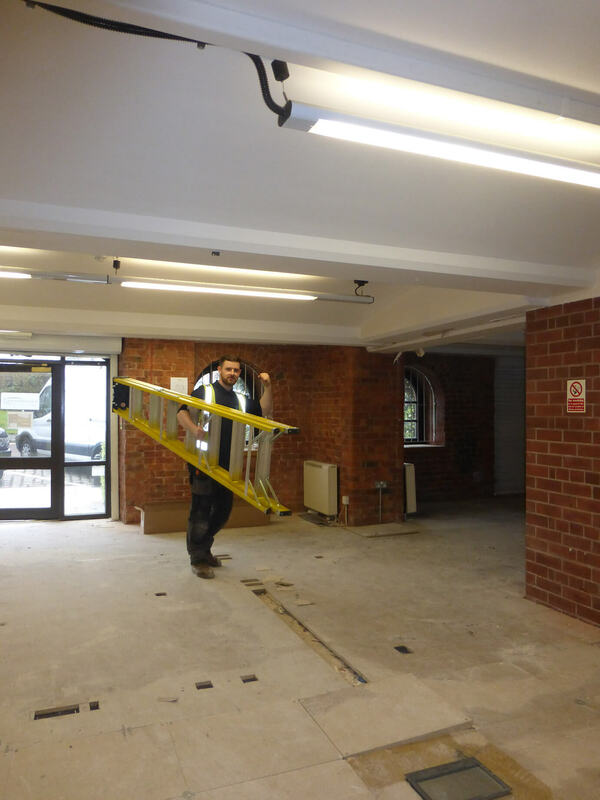 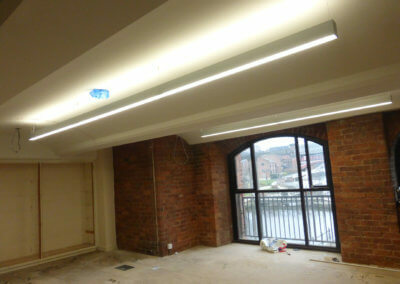 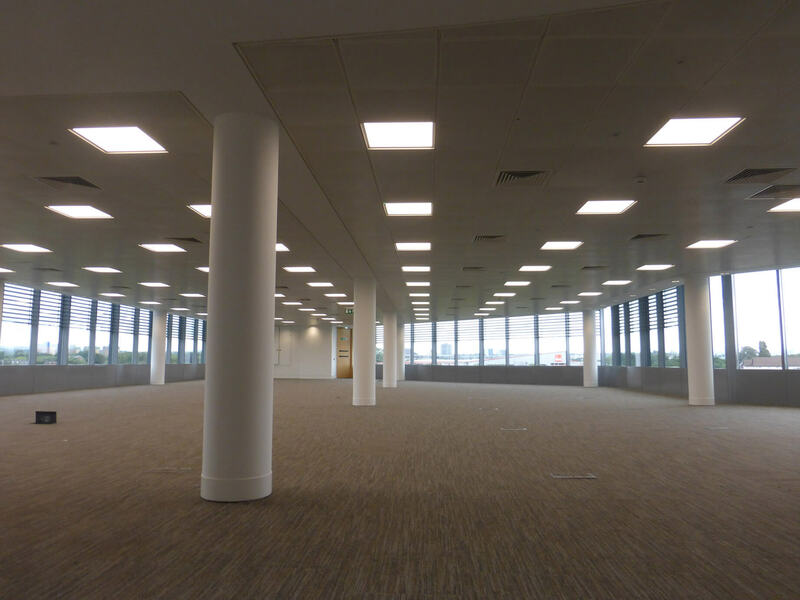 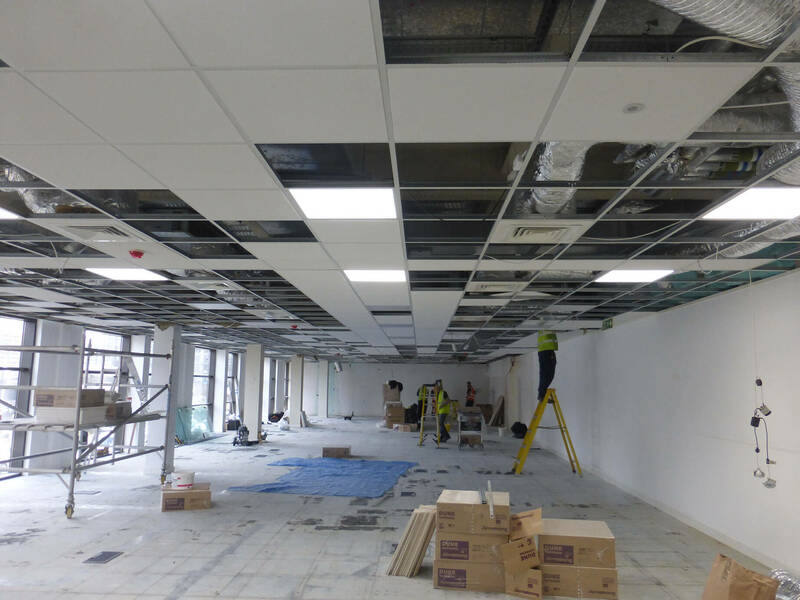 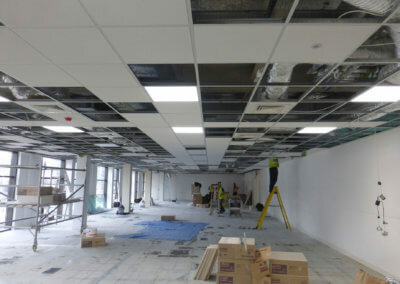 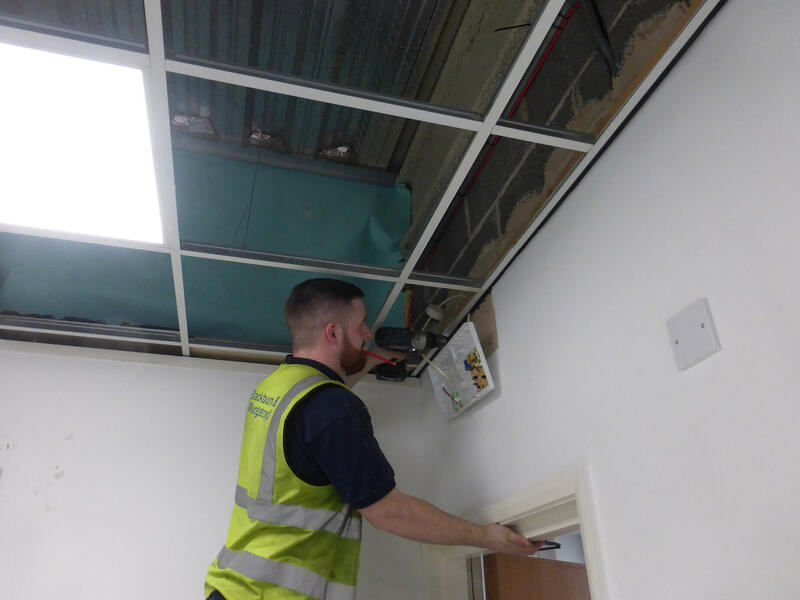 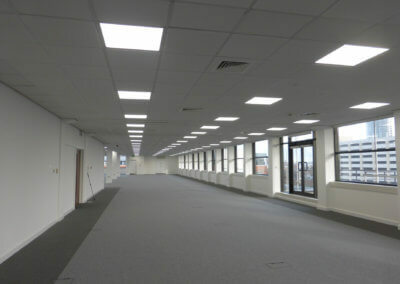 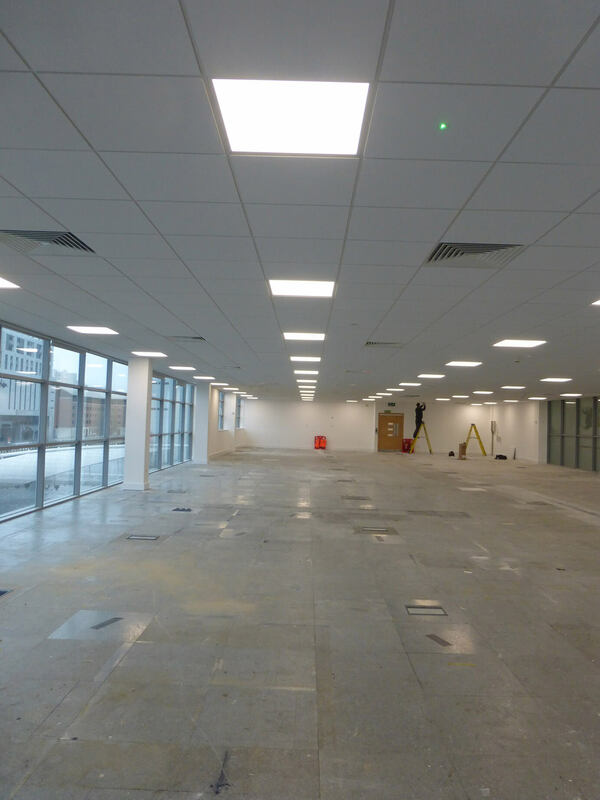 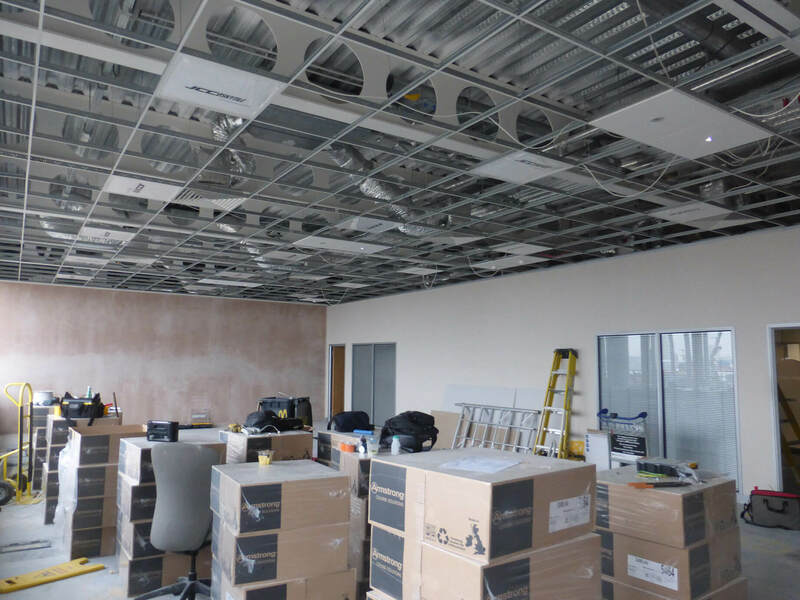 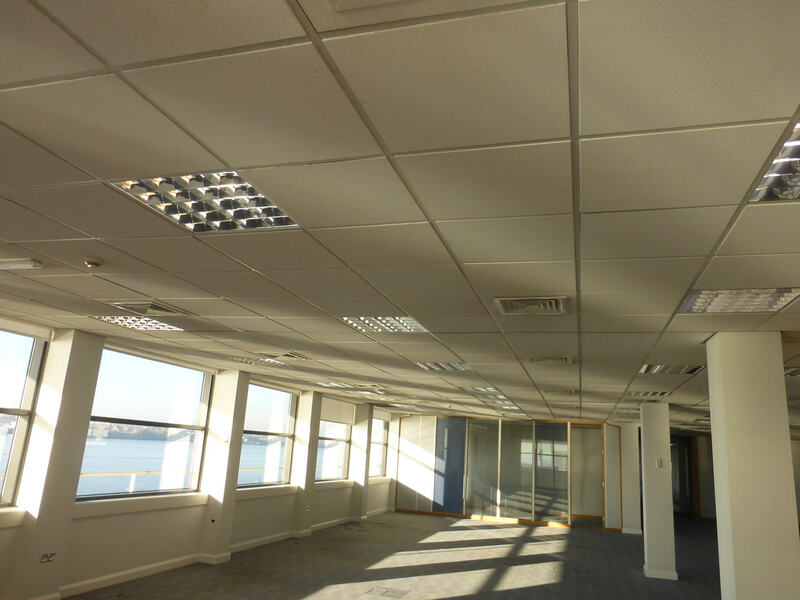 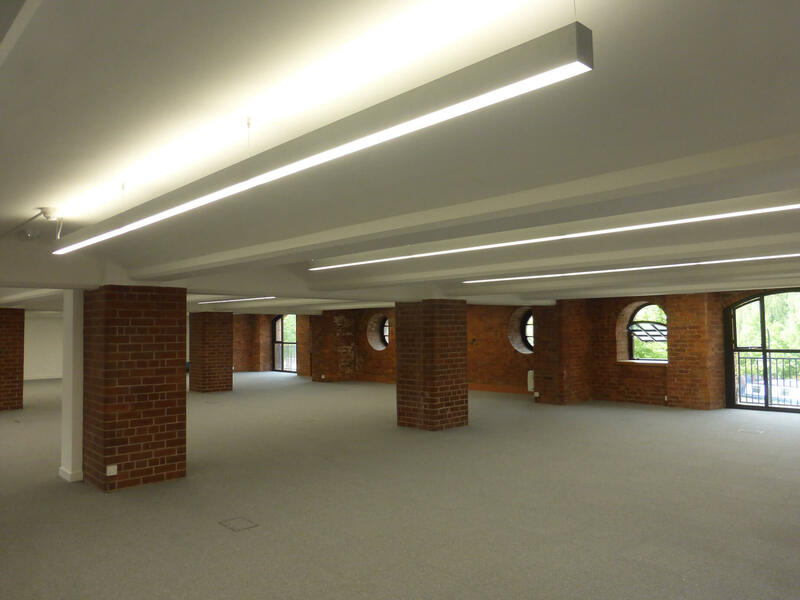 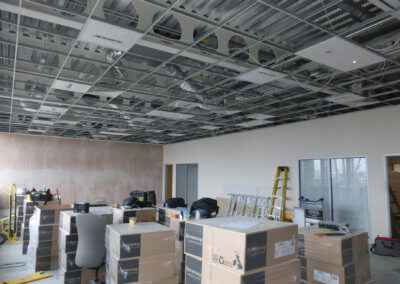 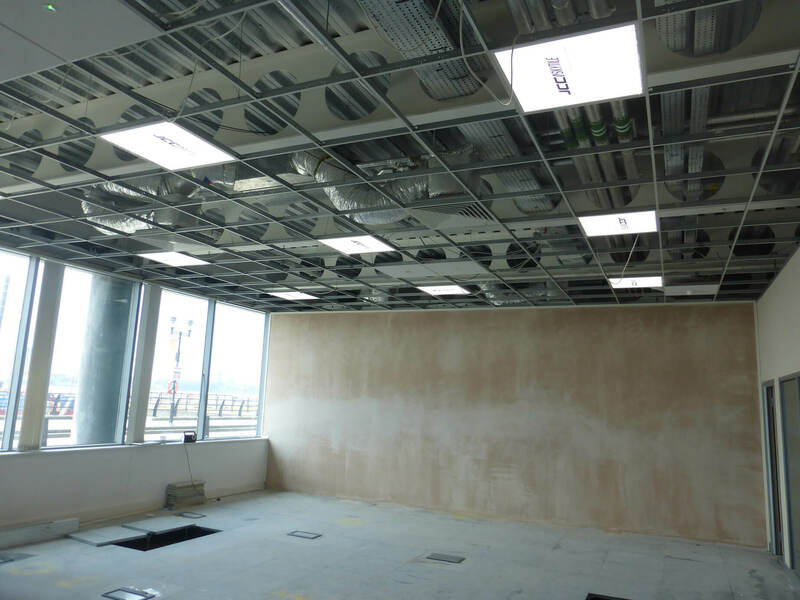 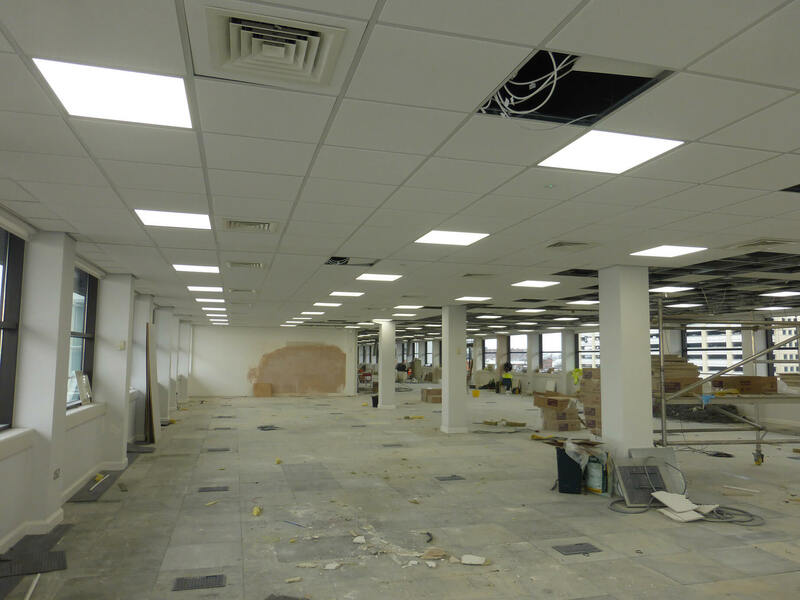 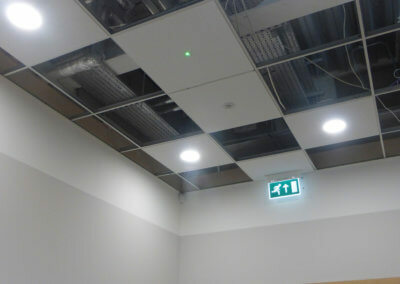 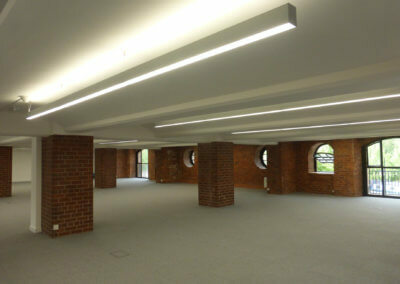 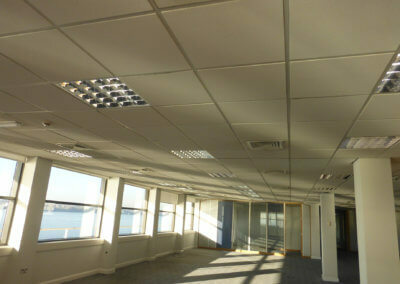 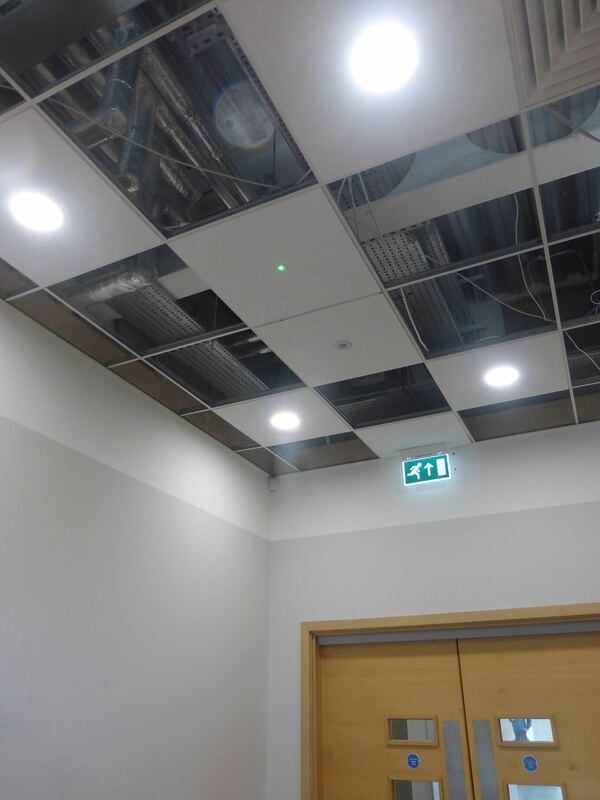 Removal of fluorescent suspended light fittings and install of Integral Lighting LED suspended fittings. 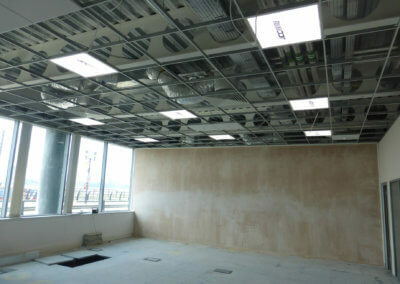 Also wired new floor box ring main circuits and installed floor boxes to generic pattern. 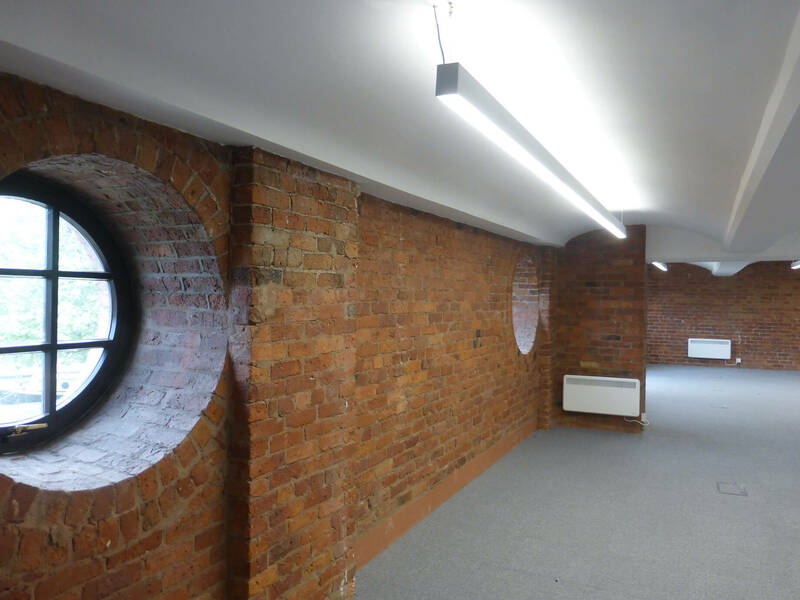 The site is located in Castlefield and the work was for Peel Holdings Ltd (installed 2018).